Breastfeeding is a beautiful and natural experience; it is a unique time when you feel very close to your baby. 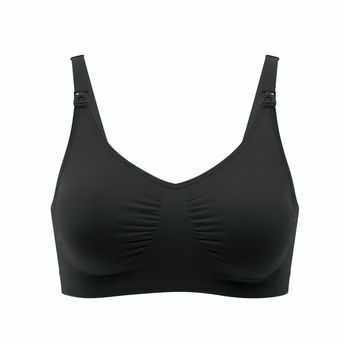 Medela's maternity wear bra has been developed and adapted for your needs. The nursing and maternity bras do not just look great; they also fit your body perfectly and offer gentle support. The premium stretch fabric of the Maternity and Nursing Bra from Medela adjusts to your changing shape. Its wire-free and seam-free design provides great support and everyday comfort during pregnancy and while nursing. The one-handed easy open-and-close clip makes the breastfeeding process effortless.